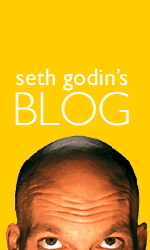 Seth Godin wrote a powerful post today—Secrets of the biggest selling launch ever—about why Apple sold 300,000 iPads on the first day. Here are five of his secrets that are 100% relevant to the fundamental challenges facing event planners today. 2. Don’t try to please everyone. There are countless people who don’t want one, haven’t heard of one or actively hate it. So what? (Please don’t gloss over this one just because it’s short. In fact, it’s the biggest challenge on this list). Designing events so that they will appeal to the least adventurous attendee guarantees the same-old snooze-fest. Event planners need to aim higher and use innovative formats, even at the risk of jolting people who didn’t expect to be jolted. 3. Make a product worth talking about. Sounds obvious. If it’s so obvious, then why don’t the other big companies ship stuff like this? Most of them are paralyzed going to meetings where they sand off the rough edges. How many events have you attended that you still remember years later? (Or a month later?) It’s possible to create events that are memorable. And the best ones are memorable not because they had great content or great presenters, but because wonderful, unexpected things happened there. We know how to create events like this: by using participant-driven approaches. But we are afraid to take the risk of trying event formats that are different. If we event planners won’t take the risk, who will? 6. Create a culture of wonder. Microsoft certainly has the engineers, the developers and the money to launch this. So why did they do the Zune instead? Because they never did the hard cultural work of creating the internal expectation that shipping products like this is possible and important. Until we fully embrace the belief that it’s possible to successfully employ powerful interactive formats at our events, we’re going to be churning out more Zunes than iPads. Apple has been willing to make mistakes: the Lisa and the Newton come to mind. You can’t have great success without risking some failure. Every time I facilitate an event I welcome the possibility of failure. Not the kind of failure where the event is a total bust—I’m not that far out on the edge—but the failure of a session’s process, or the discovery of a flaw in a new approach. And you know what? The new things I try that succeed more than outweigh the failures I experience. And, extra bonus, I get to learn from my mistakes! So take some risks with your event designs. Have the courage of your convictions, trust your intuition and be willing to make mistakes. 9. Don’t give up so easy. Apple clearly a faced a technical dip in creating this product… they worked on it for more than a dozen years. Most people would have given up long ago. I think we face a long hard road in changing peoples’ perceptions of what is possible at an event. It’s not easy to challenge hundreds of years of cultural history that have conditioned us to believe that we should learn and share in certain prescribed ways. But the rapid rise of the adoption of social media has shown that people want to be active participants in their interactions with others, and we need to change our event designs to satisfy this need when people meet face-to-face. I’m willing to work on these issues over the long haul. Will you join me? This entry was posted on Wednesday, April 7th, 2010 at 9:19 am	and is filed under Uncategorized. You can follow any responses to this entry through the RSS 2.0 feed.You can leave a response, or trackback from your own site.